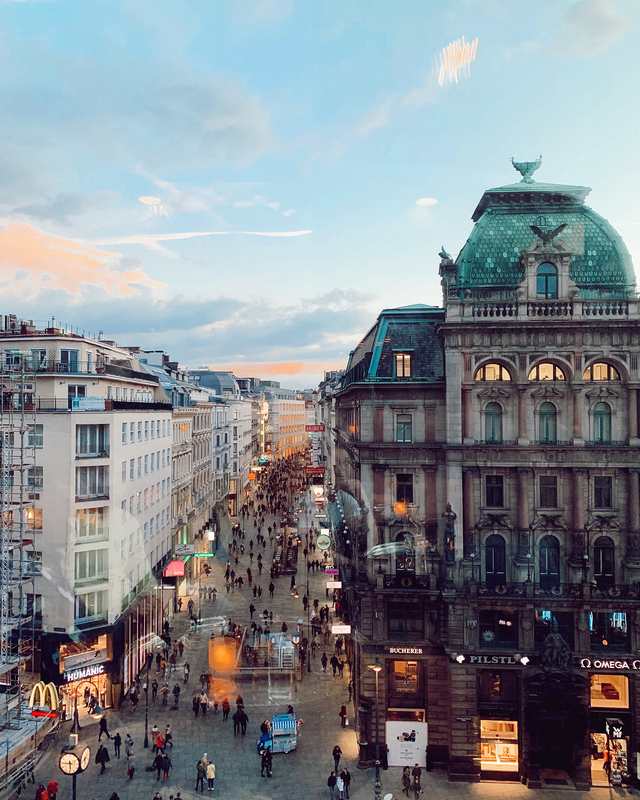 The first thing I noticed about Vienna – besides its sheer size, oh my grandiose – was how immaculately pristine the entire city seems to be, it was practically glittering. These Austrians are some serious neat freaks, and I am HERE for it. We pulled into town on a Sunday and upon our first stroll we all just could not believe how quiet, and crazy clean everything was. It was just so… pleasant?! And unexpected?! I’ll be honest, prior to visiting I had the impression that Vienna was going to be a bit stuffy and maaayyybeee… not all that exciting? (Ouch I know, shame on me.) But I could not have been more wrong. Vienna may have its OCD like Austrian tendencies, but it is far from snobby or boring. Vienna is full of life, rich culture, genuinely friendly folk, incredible cuisine, and there is more to see and do than I could have ever imagined. I am already planning a trip back to see the famous Christmas markets they’re known for. So, this may come as a surprise I know, but unfortunately, I am not the authority on hotels in Vienna. We stayed at The Mariott, which I will say was in a great location, but it was just your average Mariott. 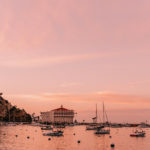 Nice, comfortable, familiar if you will, but if you’re looking for something with perhaps a bit more local charm I would defer you to Travel + Leisure’s guide that includes their picks for hotels. Foodies and non-foodies alike… if there’s ONE thing you HAVE to do in Vienna, its to visit Naschmarkt. This is the city’s famous outdoor food market where you can purchase and peruse everything from local produce, candies, fresh meat/fish, or simply stop in at one of the several small restaurants that line the sidewalks. For my fellow Angelenos, it’s reminiscent of Grand Central Market – in theory – same idea, different setup. There was literally one of every type of cuisine available at the market, but our absolute favorite was a little wine/tapas bar called La Bottega del Gusto. If you visit Naschmarket be sure to find La Bottega, have one of their GORGEOUS snack plates (think hummus, dolmas, stuffed veggies, and all kinds of fun finger food), and a bottle of wine, and thank me later. I was told a slice of the famed Sacher Torte from the Sacher Hotel was an absolute must. And I can now confirm that after having had a slice, it is definitely worth all of the fuss. Plus the hotel is absolutely adorable and worth spending a moment basking in all of its royal ornate beauty. I believe there are a few places in which you can enjoy said torte, but Sacher Eck Wein had no line, it seemed a bit more casual, and was a perfectly acceptable place to enjoy a glass of champagne and a special treat. Do&Co is shishi (fancy). In a good and a bad way, I’ll be honest. It’s very centrally located and their Onyx Bar has arguably the most gorgeous of the city below and St Stephens Cathedral. The space is stunning, and completely idyllic setting to enjoy a delicious cocktail as you watch the sunset. But this was quite possibly the one and only place we visited on the entire trip where we had, unfortunately (and I hate to say it), bad service. The servers were frankly unnecessarily rude, which sadly ruins what could be a perfectly lovely experience no matter what. BUT, I’m still listing it because there’s a very good chance you won’t have that same experience, and it really was SO beautiful and worth visiting for those views. I would simply advise to make a reservation and/or visit at an off time (get there early). This was the one and only place in Vienna I genuinely wanted to visit and dine at, and I am so glad that we did because it lived up to every expectation I had. 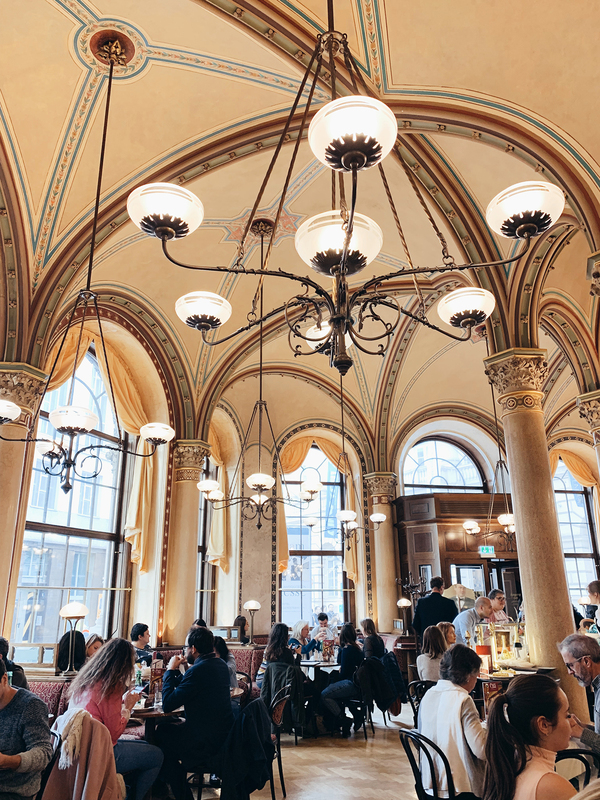 Cafe Central is a traditional Viennese restaurant/coffeehouse and has been open since 1876! It is a stunning work of architectural beauty, and the food is absolutely fantastic. In true Viennese fashion, we ordered the schnitzel and the strudel and both were, as envisioned, unforgettable. HOWEVER… it’s important you note that you’ll likely wait in line to dine, it seems inescapable when it comes to this restaurant so prepare accordingly. If it’s not at least 100 years old is it even worth it? The short answer is probably maybe yes, but all of the oldies in Vienna seem to be the best! Figlmüller is another perfect example of this, having been open since 1905, and claims fame for being “the home of the schnitzel”. The original Figlmuller (Wollzeile) would be your ideal destination as it is as mentioned: the original – complete with tuxedo donning waiters and all. The likelihood of you actually getting in, with or without the line, is somewhat slim as it is a relatively small restaurant. Your best bet at that point is to head to their overflow and more modern restaurant, Figlmuller Bäckerstrasse, which is where we ended up dining. Same famous techniques and ingredients, same delicious schnitzel, just more room and a higher chance of being sat! Out of all of the restaurants we dined at, this one felt the most appropriately Austrian for some reason. It’s also – yet again – one of the oldest and most beloved restaurants in Vienna as it has been serving patrons since 1878. But everything about this place felt warm, welcoming, neighborly, and “home-y”. It’s not quite upscale but it’s not quite casual either, and it was exactly what I wanted from an “authentic” Viennese dining experience. 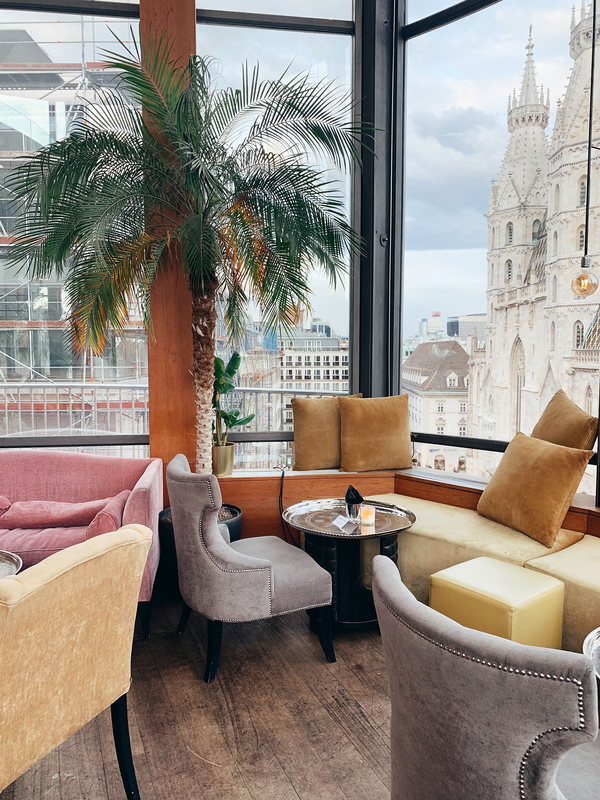 Zum weissen Rauchfangkehrer was probably my favorite place we had dinner in Vienna, so with confidence, I say don’t skip this one! The Crazy Tourist has an AWESOME rundown of the 15 Best Things To Do In Vienna – including a few things I personally experienced and loved. Namely the Spanish Riding School. 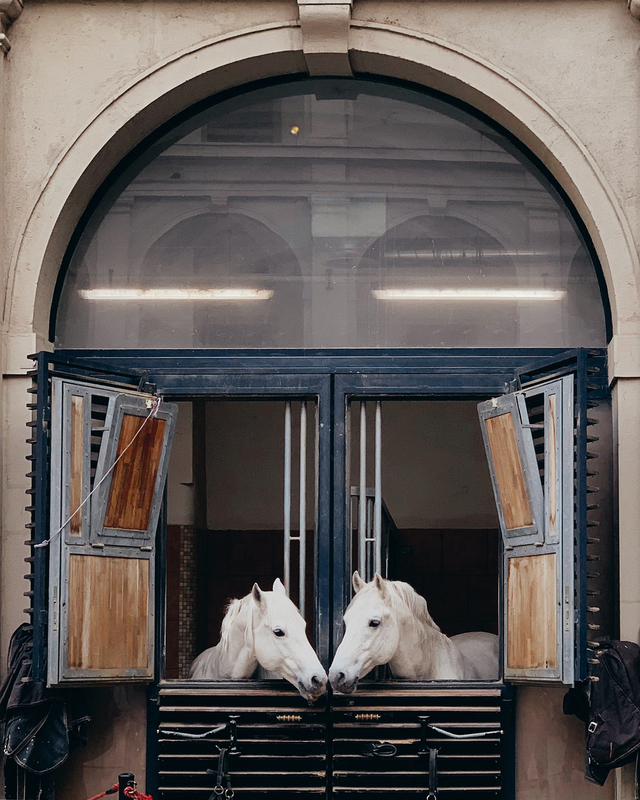 We took a private tour of the stables and absolutely loved it, I wish we were in town at the time to see one of the shows but, now we have a reason to return. 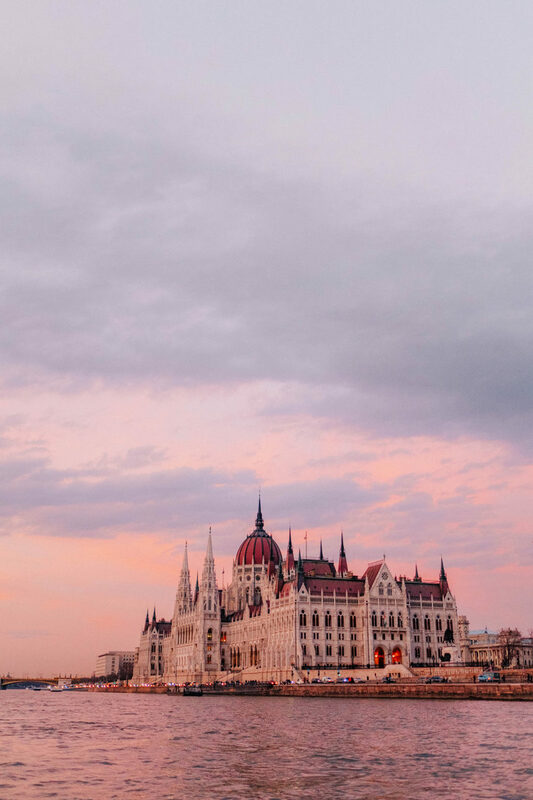 I had such high expectations coming into visiting Budapest because the general consensus over this city seemed to be that it was one of the absolute best cities in Europe to visit. I mean, woah. Seriously, everyone who I’ve met who has been said it, and couldn’t wait to go back. Thankfully the expectations were met and exceeded. Budapest is this incredibly unique place where Eastern Europe meets Western Europe. It has it’s own incredibly unique personality, Hungarians are the coolest most laid back people, Budapest is absolutely budaful (sorry, I had to), and there is no lack of delicious food or wonderous sights to behold. This city has landed in my top 3 favorite cities in Europe, and the odds are in your favor that it just might become one of yours too. I know I know, fancy, but it was relatively affordable given the time of year we visited so keep that in mind, there’s no harm in looking! But really – you get what you pay for and the level of service at the Ritz Carlton Budapest was outstanding. Plus it’s in a great location and it’s a beautiful hotel with a FANTASTIC bar/restaurant. The Four Seasons is a similar story, but this Four Seasons, in particular, has an incredible amount of local charm and ambiance. 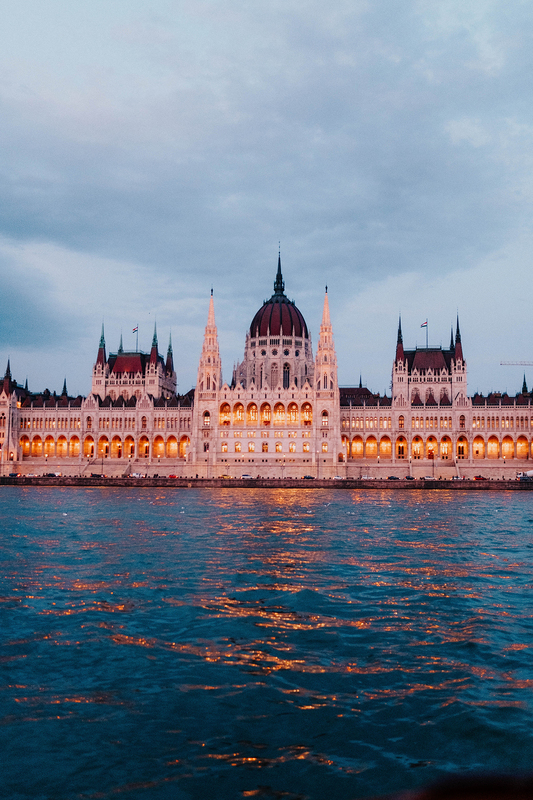 Plus it’s situated right along the river with sweeping views of Buda, and they also happen to have a restaurant that I would also classify as “fantastic”. For more, take a look at The Telegraph’s list of the best hotels. Getto Gulyás came highly recommended by our fabulous and fun local tour guide who you’ll meet in the “what to do” portion of this guide, so naturally, I now recommend it to you! 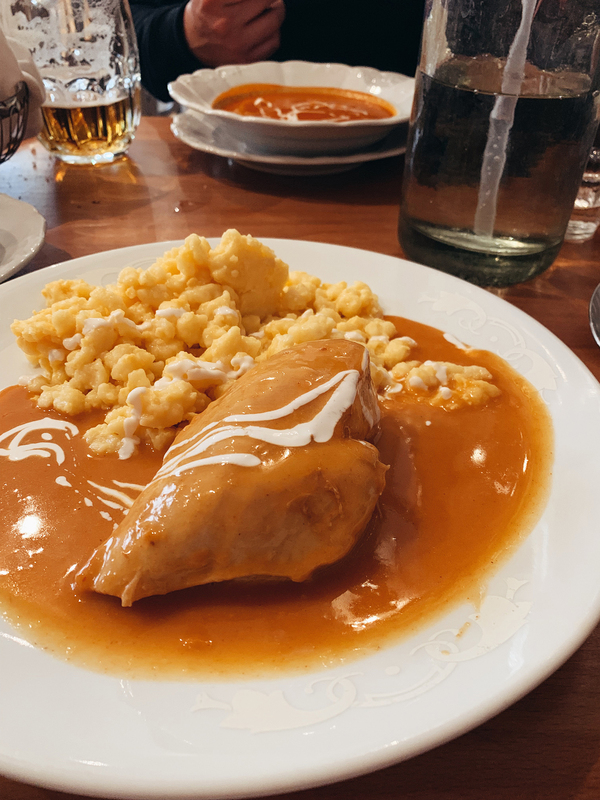 I loved Getto Gulyás because it seemed genuinely local, it was cozy, and most importantly they offered traditional Hungarian cuisine. I’d been dying to try Chicken Paprikash and having it here was incredibly fitting – and of course incredibly delicious. Notably, it also happens to be located just a short walks distance from Budapest’s most famous ruin bar: Szimpla Kert. Ruin bars started popping up in the early 2000s in post-war dilapidated buildings, and have since become a huge part of the unique culture Budapest has cultivated. Ruin bars are one of Budapest’s most beloved attractions – you must visit at least one, and if you only visit one… it should be Szimpla Kert. It was established in 2004 by college students and is kind of one of those places you have to see to believe. It looks like a giant ongoing art project, with multiple rooms, multiple levels, and of course multiple bars. It’s kind of inside, kind of outside, kind of weird, but kind of cool… trust me just go, you’ll see, and you might really like it! If you were thinking of going out for a “nice” dinner in Budapest, this would be my number one suggestion! While Rezkakas Bistro could be classified as a “white table cloth” and “live music over dinner” kind of restaurant, but don’t let that scare you into thinking it’s probably overpriced or stuffy – there’s really no such thing in Budapest. Rezkakas, in particular, is just a nice little local joint with food and service they clearly take pride in. And it’s awesome. Pest-Buda was the one restaurant my mom kept telling me I had to visit because she loved it so much. So while we had our day of exploration in Buda, I made sure we stopped in for wine and snacks. Pest-Buda is a tiny little cozy nook that happens to be one of Budapest’s oldest restaurants dating back to the 1800s. Pest-Buda is self-described as “Grandma’s home-style Hungarian kitchen, using the best ingredients, with love and care.” And fortunately, that’s exactly what you’ll get. “An Instagrammers dream.” – me. I feel like I could just leave it at that but, New York Cafe really is an absolutely breathtaking space. It’s touristy as heck, and I would advise only visiting for breakfast/lunch/tea, but it’s absolutely worth seeing (and snapping a photo in). For the Bible of the best restaurants in Budapest… broken down into several categories… visit Offbeat Budapest. Offbeat Budapest’s “Beginner’s Guide to Dining In Budapest“ article is also totally worth the read! And for all of my fellow EATER lovers… they have a list of the “18 Essential Restaurants in Budapest“. Hire yourself the best damn local guide in town – Bogi of B Side Tours – and get to touring!! 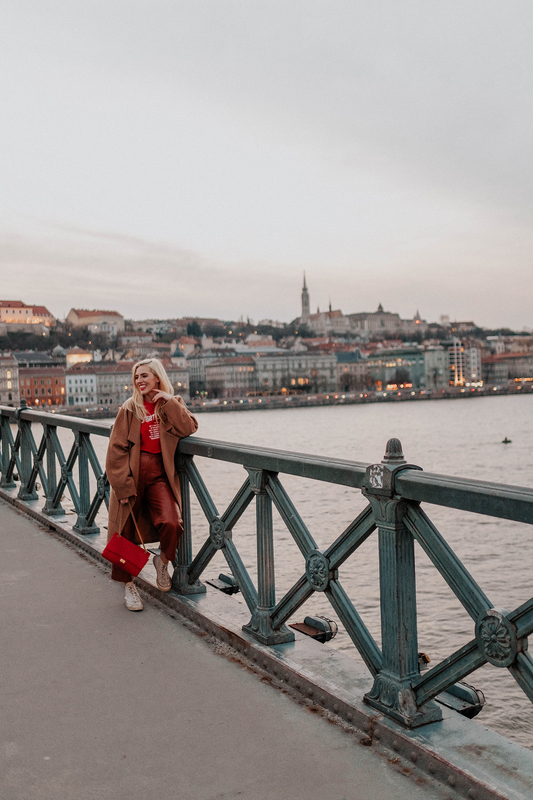 Bogi is such a blast, and she is incredibly knowledgeable on any subject involving Budapest – everything from the city’s rich history to its current happenings Bogi can fill you in on it all. You’ll likely partake on a walking tour, but you can customize the tour as much as you like depending on what you’d like to see. We personally made a day out of touring Pest, and had an absolute blast. Bogi took us to St Stephen’s Basilica, The Parliament building, Hero’s Square, Vajdahunyad Castle, ruin bars, through the Jewish Quater – and seriously so much more – in just one day. You can really see it all with Bogi and I highly recommend that you do. Outside of that… once again I defer to the professionals, and if there’s one site that has Budapest completely surrounded it seems to be Offbeat Budapest! 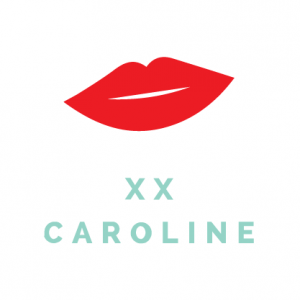 I cannot recommend this site any more! 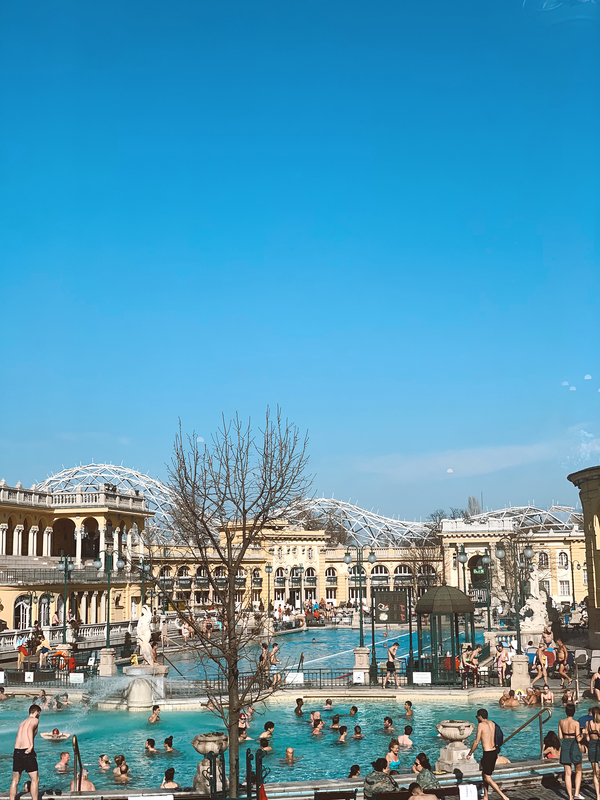 They offer in-depth guides to all of the city’s “musts”, such as the Thermal Baths (one of the main reasons people even visit Budapest), and so much more.